When you’ve decided upon granite to provide the timeless accent for your home design project, you may also want to ensure that you’ve considered the choices available to you. Yes, we know that granite has the longevity to never require replacement, but you may also want to ensure a unique finished product that best speaks to your own sense of style and taste and is unlike any other that your friends and family have ever seen. Granite countertops offer a level of customization that puts the power into the hands of the buyer to select the material, color, edging and even fixtures that will combine for a lasting impression that you’ll be glad to enjoy every day. While most think of granite as simply a slab of stone that gets cut based on the dimensions of your space, but homeowners actually have a choice of three granite countertop options to best suit their needs. Slab Granite is the best known and also the highest price option as it involves a single, heavy, custom-cut piece of stone. This option requires a professional to perform the installation because of its weight and level of difficulty to ensure that it is properly installed. But buyers should be aware that there are other choices as well related to Edmonton granite countertops. Modular granite is developed as pre-cut slabs which come in smaller sizes and are create for use in standard-sized kitchens and allow for configuration that may best compliment the layout of your space. This option is popular with do-it-yourselfers as the smaller slabs allow for the home handyman to take ownership of their own re-design project. For the greatest economy, buyers might consider tiled granite. This option allows for a granite-finish to overlay on your countertop for the look of granite without the expense. While the most affordable, most buyers who are looking for the benefits of granite generally go for a higher cost investment in their countertops. The variety of options available are plentiful, but there are a few choices that are most frequently requested as they seem to best compliment existing cupboards and paint finishes in kitchens and bathrooms. These five choices are important as they really speak to the taste of the homeowner. Black is a bold decision in granite countertops. Offering a more pronounced sparkle under light than many other choices, black is also popular because it compliments most every other color choice, even white. Many homeowners like to contrast black countertops with white cabinetry. Brown is a top choice for those looking at a granite choice that will compliment a rustic country design. The brown granite serves to really bring out the strength of the lighter brown wood accents in cupboards and trim in the room. Beige is considered to be a versatile finish as it often integrates elements of other colors which makes it an easy finish to compliment with a wider range of choices in cupboards and decor. Considered to be less sterile than stark white, beige seems to find its fit in a number of design styles. White may cause someone pause for fear that their countertops would come across as too sterile and institutional. However, with the hints of other colors mixed in, white offers a bright finish that is easy to compliment with cabinets of almost any color. For a more exotic look, jewel-toned granite countertops are often the choice of those who want their counters to be the focal point of the room. Popular colors include red and green tones, however the more risqué the colors, the harder they are to effectively compliment the other colors and design elements in the room. You have the opportunity to really convey the personality of your home in the look of the visible edge of your slab granite countertop. Edging choices are available exclusively to the slab granite option and offer a number of options but depending on how basic or ornate the design you choose your project cost will be impacted. Traditional choices include options such as half round transitional, full bullnose transitional, Ogee, Elite or Roman Elite. Some of these are found most commonly for a specific purpose, for example on islands, or for counter perimeters and can be used in combination depending on the scope of your granite usage. There are eleven common and popular choices for granite edging to be considered when planning your design. Before you make your choice, consult your Edmonton granite countertop installer to see examples of each to help you decide which one offers the best fit for your vision. When making the decision to go with granite, you will also want to consider how your existing fixtures factor in to your new look. Don’t forget that the appearance and style of your sink will have an impact on the overall final look of your new countertop, so you’ll want to ensure that you have made the right choice before installation begins. While some might choose to go to enamel-coated cast iron sinks for their elegance and durability, they also come with the highest price tag. While stainless steel is still the most popular choice, composite granite sinks are also starting to grow in their appeal. Still others prefer the look of copper sinks to compliment their granite countertops. Once you’ve made a decision on what type of material you want for a sink, you then need to decide whether you want a seamless edge with an under-mount sink or a top-mount option. 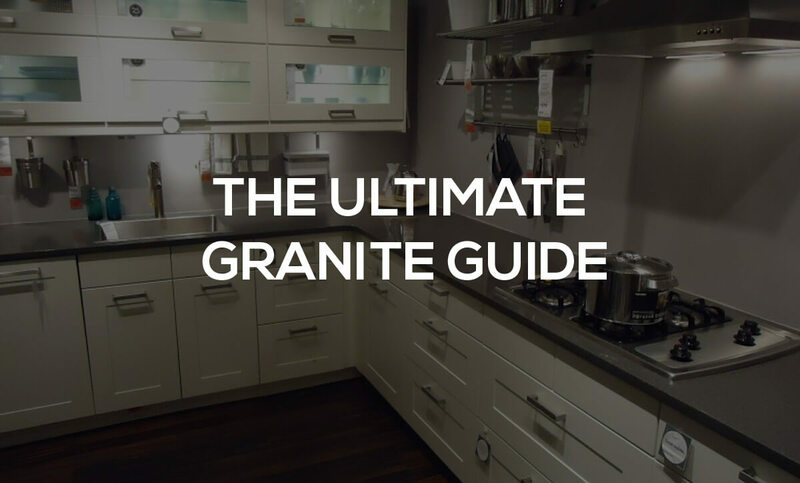 Now that you have all the information you need to be aware of your granite options, take time to consider the full scope of your project and what combination of these choices will best contribute to the vision that you have for your dream kitchen. Visit K&J’s Custom Granite show room for help from our team members.